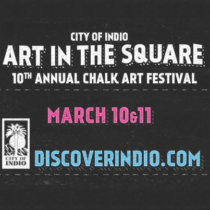 The 9th Annual Indio Chalk Art Festival, “Art in the Square,” has expanded to two days. The popular event will be held Friday, February 24 and Saturday, February 25, 2017, in its new home in Downtown Indio. The event runs daily from 10 AM until 4 PM. Chalk and art supplies are provided free of charge to the public during this family friendly event. Areas are designated to allow people to participate by drawing artwork of their own at any time during the two-day festival. Attendees can also enjoy a variety of unique features the festival offers. Art in the Square begins with creative chalk art by professional artists, followed by various student art demonstrations. Music, food vendors, and kid activities are also featured throughout the event schedule. Prizes and certificates will be awarded by Mayor Elaine Holmes at the closing ceremony scheduled to commence at 4:00 PM on Saturday. 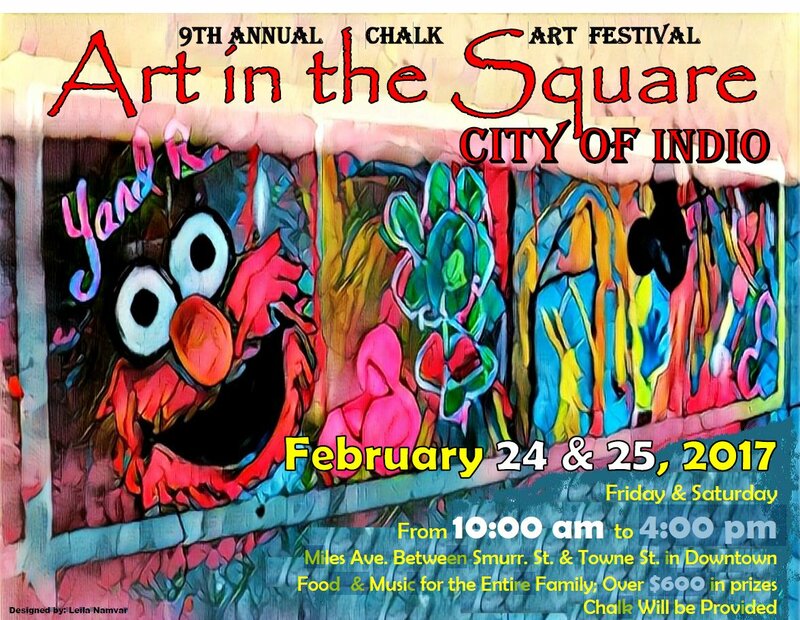 For more information on Art in the Square, please visit www.IndioChalkArt.com. You may also contact the Indio Visitors Bureau at 760-347-0676.